What attracted people to John? Was it his clothes? Highly unlikely! I am sure he attracted some attention. Can you imagine a leather girdle and clothes made of camels hair! I am sure not picked for Best Dressed. Was it his personality? Probably not-later down in the chapter we see him yelling at some Pharisees and Sadducees. He had to have smelled and had bad breath- he was eating locusts and honey. So what was it that attracted people to John? It was his message! The message of John was captivating! And more than that it was convincing. God used John to communicate the message of repentance in prepartion of the coming Messiah, Jesus. His message was for everyone! It was simple and to the point. Christ is coming back again. Are you sharing His message? The gospel is simple. It may be hard to witness to friends but let your life so shine before men and let them see the gospel through your life. Let God use you to spread His message! What did you think about this passage? Leave Questions and Comments! Matthew1:23 Behold, a virgin shall be with child, and shall bring forth a son, and they shall call his name Emmanuel, which being interpreted is, God with us. God with us? That's pretty personal Dont ya think? Christ let Heaven to be with us. Here is the big difference between a relationship and a religion. This is what is so different about Christianity. Our savior isn't dead, waiting to be reincarnated or a distant ruler. Christ wants a personal relationship with you. He came to earth to experience life. A life of hunger, disappointment, pain, loneliness- just like us. God chose to reveal Himself through His son. His presence comforts us, encourages, strengthens, protects, guides, provides and heals. Are you personal with God? Do you take Him up on his offer? Are you spending time with Him? In prayer? In thankfulness?Reading His love letter to you- the Bible? What do you think of this passage? Leave comments and Questions! Before Jesus came to this earth, there were people who were expecting Him. People that had read the Old Testament prophecies and knew that God would send someone to save His people.When Jesus came, some people recognized Him because of the prophecies they had read. After His death, when His gospel was preached around the world, others came to believe because of these very prophecies.Jesus fulfilled more than 300 Old Testament prophecies! What are the odds of a man even fulfilling just a few prophecies? Very slim indeed. What are the odds of fulfilling more than 300 prophecies? Astronomical. Today is no different, people are waiting for a savior. Are you sharing this news with your friends and family? It is amazing to know that Jesus' birth, life and death was no accident. According to this passage, it was all in the plan. Take time today to thank God for sending His son to die for YOU! He was wounded for YOU. 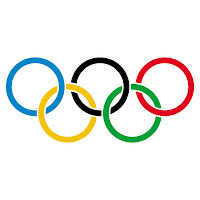 COME JOIN US FOR OUR SUMMER OLYMPICS! EVERY WEDNESDAY IN AUGUST, WE WILL HAVE FOOD, GAMES, AND MESSAGES SURROUNDED AROUND THE THEME OF THE OLYMPICS! YOU DON'T WANT TO MISS OUT!CONTACT BRANDON FOR QUESTIONS! We had a awesome S.N.A.C last nite! We went to the Scheirding's house. They had a WII and some awesome food. If you have never been to a SNAC. I really encourage you to come! I need any pics anyone has taken at church or on activities! Email them to me or bring them to church!! If anyone is interested in starting a photography ministry- taking pics on activities or at church. Let me know! Welcome to the new website of Yielded Student Ministry! This whole blogging thing is new to me but I think it is a great way to create a community between us. Check back here often for videos, devotions, information about upcoming activities.